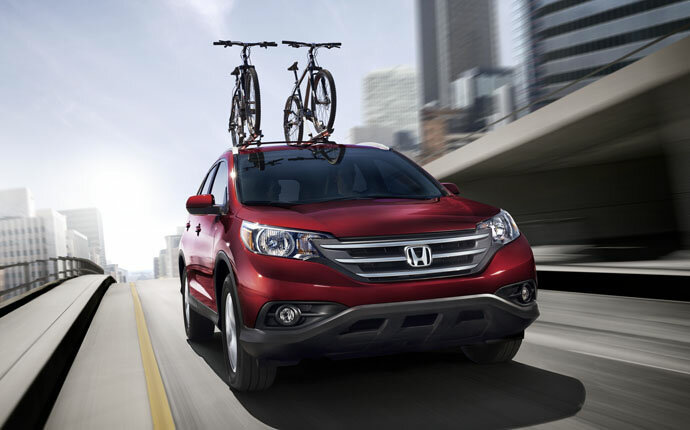 Pacific Honda Blog: 2015 Honda CR-V, Fit Named "Best Cars for the Money"
2015 Honda CR-V, Fit Named "Best Cars for the Money"
A word like “value” can have a lot of different meanings in the context of the automotive industry. Many vehicles are considered to be “values” if they have a low sticker price, regardless of how good the car actually is. Others look at value in terms of the amount of goodies one can get for the lowest possible price. The best way to look at the word is probably as a combination of those two things. Consumers should want cars that are of a very high quality and are made available at a very reasonable price. If the cost of ownership also is reasonable, all the better. U.S. News and World Report looks at value this way when they release their annual list of “Best Cars for the Money,” and this year your San Diego Honda dealership was very pleased to see that both the 2015 Honda CR-V and 2015 Honda Fit won their respective segments. Considering all the love and attention these two models have received over the course of the last month or two, we weren’t all that surprised to see them on yet another list of the industry’s top automobiles. Both vehicles do offer a lot of quality for a reasonable price, however, and with elite efficiency, low insurance costs and great warranties, the cost of ownership for both the CR-V and Fit is pretty reasonable, too. These are cars that we love to sell and San Diego drivers love to buy, so we’re thrilled that, once again, both are being honored by a respected publication like U.S. News.